Amazon Kindle e-book reader: Wi-Fi version VS 3G version; is the 3G version worth it? The Kindle e-Book reader is available in two editions: both with and without 3G connectivity. We look at the differences between the two devices. 1 What are the differences between the wi-fi and 3G versions? 2 Where can I use the 3G? What is 3G coverage like? 3 What is the web browser like? 4 Which Kindle should I buy? 5 What are the alternatives to the Kindle? 6 Where can I get the Kindle? What are the differences between the wi-fi and 3G versions? The only real difference is the connectivity. The Wi-Fi Kindle only includes wi-fi connectivity; the 3G Kindle includes both wi-fi and 3G connectivity. In plain English, this means that if you have the 3G version, you can download books, newspaper subscriptions and browse the web on-the-go using connectivity from 3G mobile networks. 3G connectivity is included so you don’t need to pay to download books or webpages using the 3G connection. The wi-fi version can only download new content through your home internet connection or other public wi-fi hotspots such as in hotels, airports and restaurants (e.g. BT Openzone; extra subscription charges may apply). Once books have been downloaded to your device, they can be read anywhere without the need for a wi-fi or 3G connection. 3G connectivity cuts the battery life of the Kindle from 20 days to 10 days on a single charge. There is a small difference in weight too: The 3G edition is slightly heavier but only by about the weight of a credit card. The 3G edition weighs 247g whereas the wi-fi only edition weighs 241g. For all intents and purposes, this is a negligible difference that you won’t notice. For comparison, an iPhone weighs 137g, a Galaxy Tab weighs 380g and an iPad weighs 730g. Where can I use the 3G? What is 3G coverage like? The 3G edition of the Kindle includes free 3G connectivity in the UK using the Vodafone network and abroad in 100 countries through other partner networks. Amazon have provided a coverage map which shows the countries and regions where you can use the 3G connectivity. The main reason that Amazon provide free worldwide 3G connectivity is because they want to sell you more books and magazine subscriptions. However, you can also use the web browsing feature for free over the free 3G connection even when abroad. See our detailed guide to browsing the web abroad with the Amazon Kindle. What is the web browser like? There is a guide on the Amazon website which should give you an idea of how the browser works and what it looks like. The best Kindle for you really depends on how you’re likely to use it. Providing you’ve got wireless broadband at home, you’re probably unlikely to need the 3G version for buying e-books – it’s unlikely you’d want to download a book so urgently that you can’t wait to get home first. The 3G version does have huge benefits for downloading periodicals and magazines: they can still be delivered to you whilst you’re away from home or you’re abroad on business. We think the free 3G web browsing whilst abroad is a winner too. If you’re unlikely to anything more than read e-books, you’d be better off with the £109 Wi-Fi only Kindle. If you’re looking to read magazines and browse webpages too, it might be worth investing in the £149 Kindle with 3G. 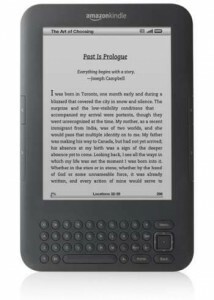 What are the alternatives to the Kindle? An Apple iPad will set you back at least £429 (wi-fi only) whereas the Samsung Galaxy Tab is currently going around £449 (unlocked with wi-fi and 3G). Where can I get the Kindle? You can buy a Wi-Fi Only Kindle for £109 from Amazon.co.uk and a 3G & Wi-Fi Kindle for £149. I've just read your excellent review of both Kindles. I've also read other reviews but yours was the only one which clarified things so that I can make an informed decision on which version to buy. I had been considering the 3G one but after reading your review it's clear I don't need it and can save a little money by buying the Wi If version as I would only download books from my home broadband connection. Thank you for saving me some money! I have the 3G Kindle but to be honest the wifi one would have been just as good. In the several months I have had it I have never yet used it over 3G apart from initial testing purposes. 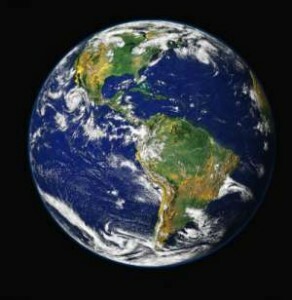 I am nearly always in wifi enabled locations and if I am not I soon will be. I do use the wifi facility a good deal to have pdf files converted and sent to me using the free Amazon service, but nothing urgent. The web browser is virtually impossible to use, although for some mobile sites it is just about usable. No complaints there however, as it is described as 'experimental'. The worst thing about the Kindle for me is the keypad which is tiny and virtually impossible to read. Even that is not too bad as apart from when setting the devices up it is not needed. All that said, the Kindle is a brilliant device and has revolutionised the way I read. Unless you travel a good deal and are determined not to wait for any subscribed magazines or book purchases then save some cash and get the wifi only version. Thanks for the feedback on how you use the Kindle 🙂 Do you find that the Kindle web browser is suitable for reading blogs and newspaper websites? I've had comments from readers who regularly use the Kindle to check their e-mails when abroad but like you said for the majority of people, who don't travel very much, the 3G functionality probably doesn't add *that* much.